It had been a long time ago when we keep considering and actually made decision to stop continue importing Toyota 2TG (2T-GEU) and 18RG (18R-GEU) full set gasket for the domestic market here in Malaysia, indeed, if only considering the demand for the Malaysia market, we should be stop importing it much earlier. 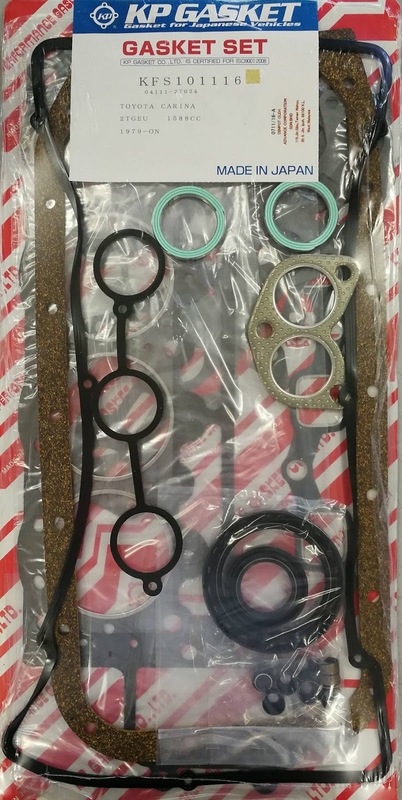 But there are oversea customer that continue inquire for this 2 type of gasket, which I'm feeling impress with their ability to continue to keep those classic Toyota Celica and Carina in the tip top condition, but I feel this time should be our last batch on importing this 2 model of gasket, as everyone now is talking about the disruption of combustion engine which will be take over by EV in the next 10 years time. I am a begginer in Automotive Spare Parts field, wish to learn more knowledge on the automotive spare parts especially engine gasket, and share some of my view with others.